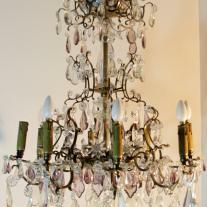 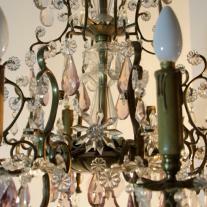 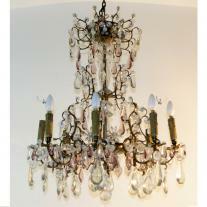 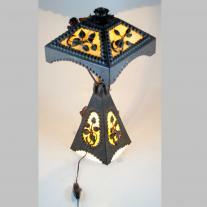 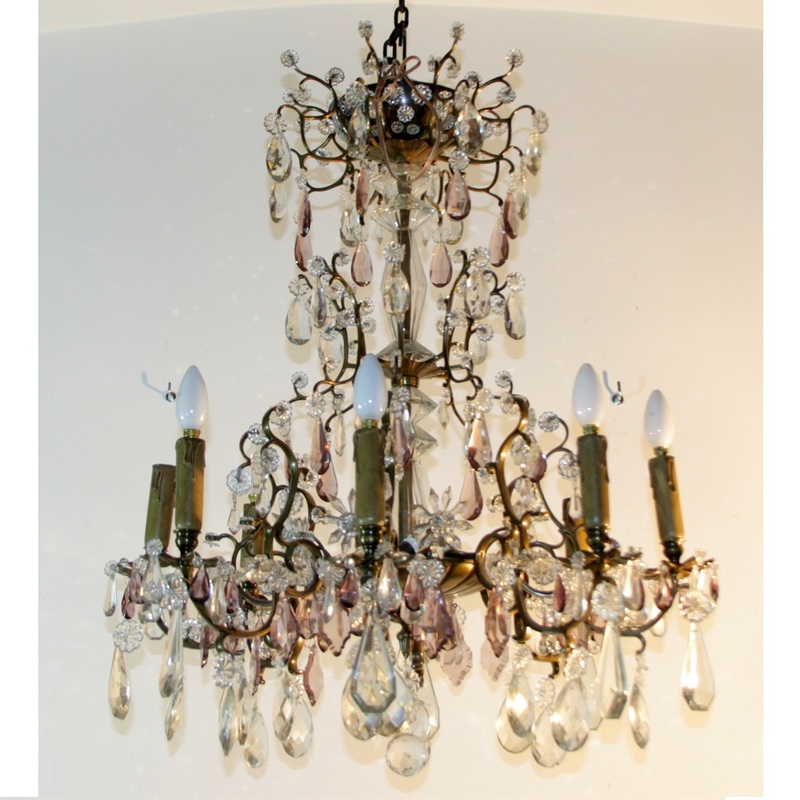 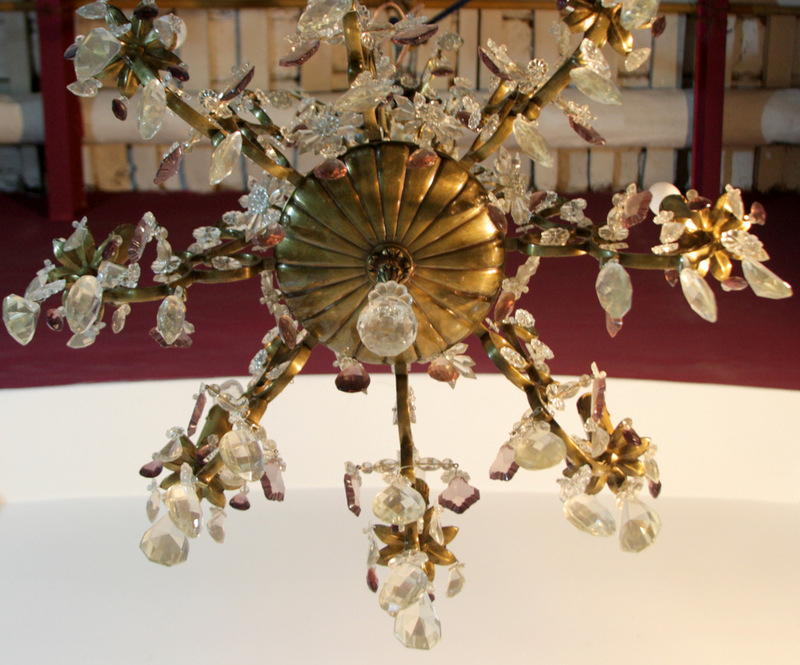 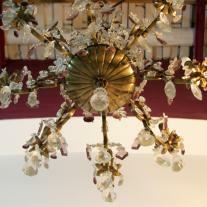 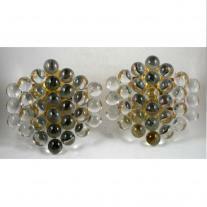 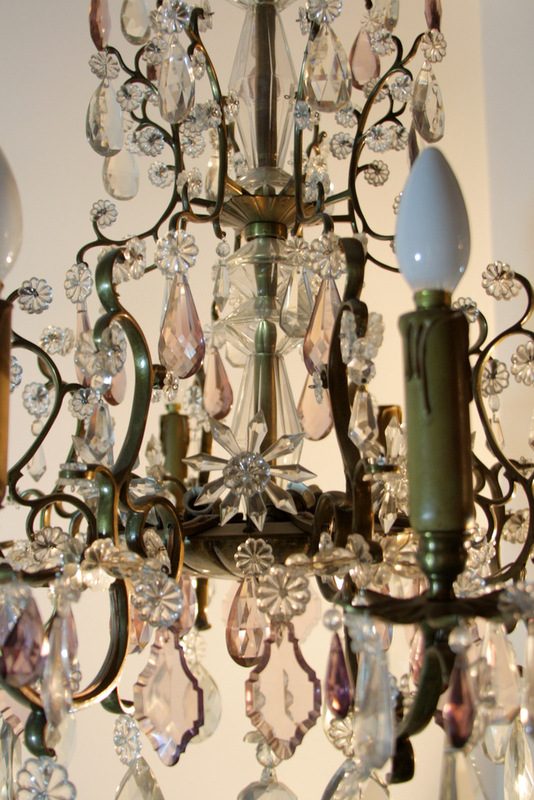 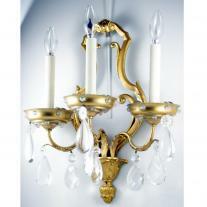 A delightful eight light chandelier, fully made in bronze and french cut crystal. 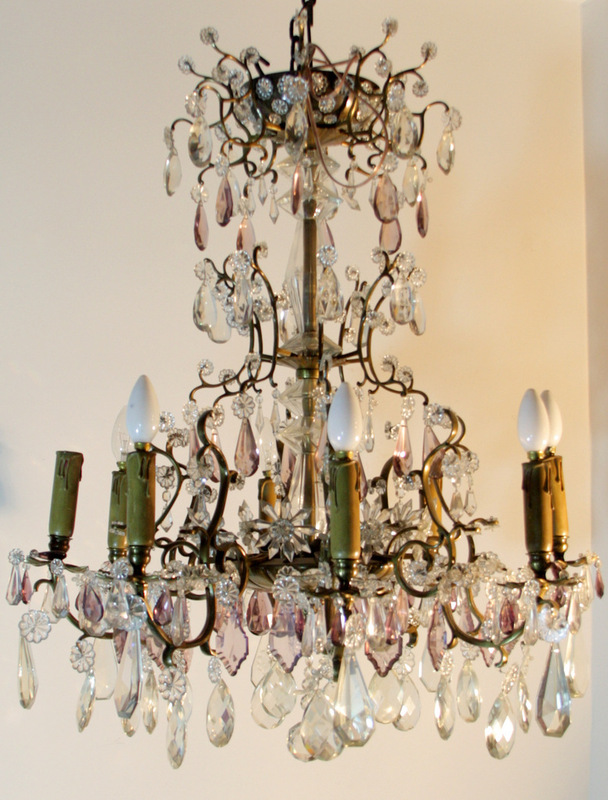 Made in France, circa 1920. 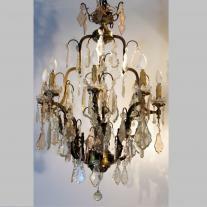 In very good conditions according to the age.